Try this 30-minute workout that combines suspension training and high intensity interval training focused on increasing strength, power, and endurance. Suspension training bodyweight exercise develops strength, balance, flexibility and core stability simultaneously. Classes take place at the ARC Express. Antonio is the Fitness and Wellness Program Assistant at Aztec Recreation. 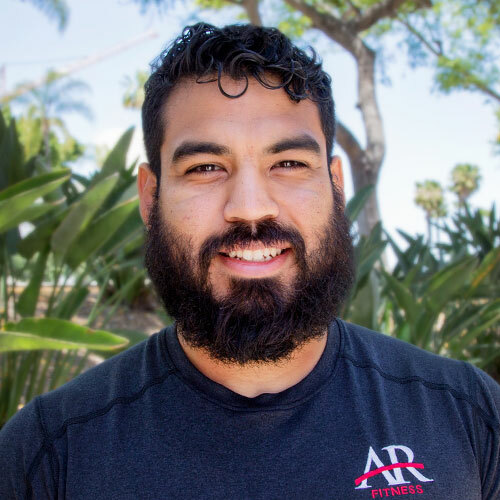 After receiving his degree in Kinesiology from SDSU, Antonio has worked in multiple aspects of the fitness industry all around San Diego and has earned multiple certifications from TRX, National Academy of Sports Medicine, and USA Weightlifting. Antonio specializes in functional training, performance enhancement, and Olympic Weightlifting he is currently a personal trainer at the YMCA Tobey Wells and pursuing his Masters in Kinesiology at Point Loma Nazarene University. Antonio is a firm believer in what does not challenge it will not change you.